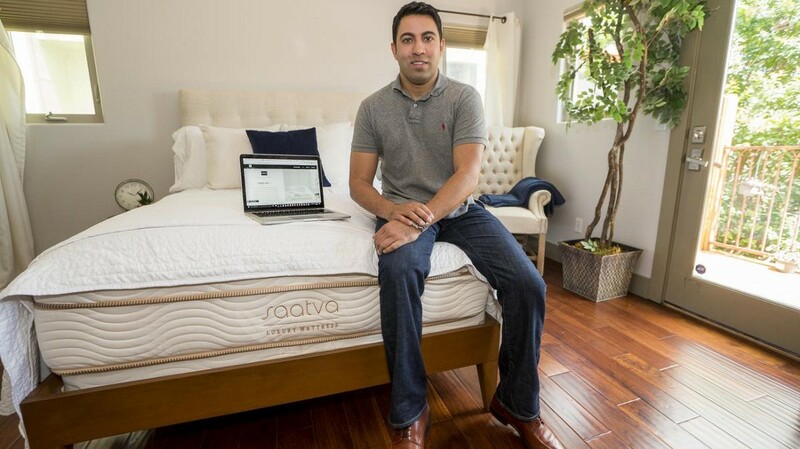 Ricky Joshi is the co-founder and CEO of The Saatva Company, an online luxury mattress retailer committed to providing quality luxury and sustainable mattresses and bedding. Saatva’s latest venture is Saatva Dreams, luxury organic cotton bedding for the eco-friendly shopper. Rod Rudzin and I co-founded The Saatva Company. I made the decision to become a co-founder after years working in business management and the agency world. I felt a change towards a more eco-friendly lifestyle space was better for me, personally and professionally. It’s something I’m very passionate about. -There isn’t one story in particular that stands out, but over the years, we’ve had some interesting encounters over our name. It’s definitely been a unique conversation starter for us. Our biggest challenge was and continues to be how to evolve as an environmentally friendly, sustainable business. We have jumped numerous hurdles, but it’s something we work on every day. In 2015, we became lead sponsors of the Sustainable Furnishings Council, ensuring our customers know about our dedication to green processes. We also keep our flagship partner factory running on solar energy to ensure our mattress production is green. -Leadership means taking the reigns on projects, but knowing when and how to listen to the ideas of others. It’s important to know when to make a decision, but that doesn’t mean steamrolling a process. Our team works well because we work together, and that’s the bottom line. Learning to not only get along with your team but hear their ideas and incorporate them fairly into a larger picture is key. -I am particularly grateful to my co-founder and business partner, Ron Rudzin. 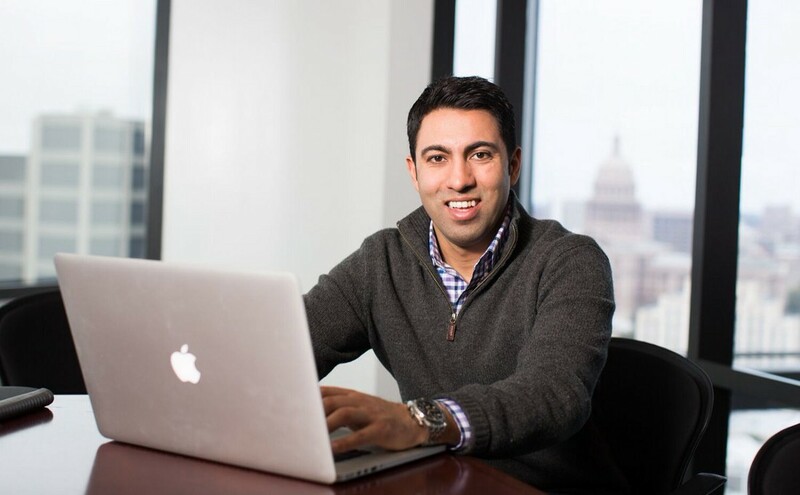 He is sharp, resourceful, and his business savvy has continually helped Saatva grow as a company. It took us 2 1/2 years to create our initial Saatva mattress, and in that time Ron’s vision for us as a truly green operation kept us pushing forward. It wasn’t very difficult for me, and I’m thankful that that’s the case. Work-life balance for me has always been an important thing, and though difficult, I’ve been able to achieve it simply by being present during my work hours. While I’m working, I’m focused on the task. But when it’s time to disconnect, it’s really time to disconnect. The away time is as important as the work time. Both need to remain separate and clear of distractions in order to be successful. I didn’t find that because I was fortunate enough to set the foundation of my work-life balance early on. I can see how, had I not done that, it would’ve become increasingly more difficult to separate the two. Stay present: this is the most important advice I’ve received and it’s sustained me continually throughout my career. Be present at work, but when you’re at play, it’s just as important to be present there too. Take feedback seriously: Feedback is free advertising if you know how to harness it properly. Your customers are your biggest supporters and, as people who actively use your product, their feedback is essential to your production process. Feedback will also help take some pressure off you — you don’t have to have all the answers and that’s okay. Find a mentor: Don’t be afraid to reach out for mentorship. No one knows how to do everything on their own at first, and asking for help is a great way to increase your knowledge. Don’t do too much: immediately taking on too much is a huge no when it comes to work-life balance. Learn to disseminate work to alleviate stress on not just yourself, but your team as well. Keep meetings short: meetings are oftentimes the biggest killer of productivity, especially in a smaller business. Keep them shorter to make sure people are excited and stay on task. The more your team is able to stay on task, the more efficient they can be. Seeing what our company has been able to achieve in such a short amount of time fills me with the most pride. We’ve worked hard to create a product that is not only eco-friendly, but is also affordable and incredibly high quality. It’s such an honor to work with this team on this mission. I want to see more industries disrupt the flow of “how things have always been done”. Uber has done this in their industry, Airbnb has done this in theirs, and so on. These disruptors allow for more creativity because there’s a better opportunity for new ideas to flourish. I’d like to see more of these across the board. – Follow us on Twitter @SaatvaMattress.